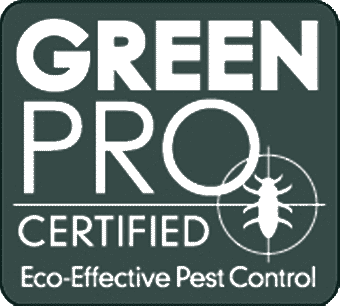 Links to other sites/materials may be found throughout mandmpestcontrol.com. MMPC, however, is in no way in control of any linked websites, and therefore cannot be held responsible for any contents within the linked material. These links are for the convenience of our clients, and any link within the site does not imply an endorsement by mandmpestcontrol.com of the site. MMPC and other marks indicated on our site are registered trademarks of mandmpestcontrol.com. Other MMPC marks, graphics, logos, page headers, button icons, scripts noted on the site are MMPC’s service marks, trademarks and trade dress and are the sole and exclusive property of MMPC. MMPC’s service marks, trademarks and trade dress may not be used in any manner that is likely to cause confusion among customers, in any manner that disparages or discredits MMPC and in connection with any service or product that is not sponsored, endorsed or produced by MMPC. All other trademarks not owned by MMPC or its subsidiaries that appear on this site are on the property of their respective owners, who may or may not be affiliated with, connected to, or sponsored by MMPC or its subsidiaries. All copyright, trademarks and all other intellectual property rights in the website and its content (including without limitation the website design, text, graphics and all software and source codes connected with the website) are owned by or licensed to mandmpestcontrol.com or otherwise used by mandmpestcontrol.com as permitted by law. In accessing the website you agree that you will access the content solely for your personal, non-commercial use. None of the content may be downloaded, copied, reproduced, transmitted, stored, sold or distributed without the prior written consent of the copyright holder. This excludes the downloading, copying and/or printing of pages of the website for personal, non-commercial home use only. This website is provided “as is,” with all faults, and MMPC makes no express or implied representations or warranties, of any kind related to this website or the materials contained within. 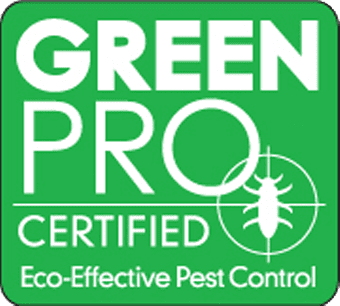 Additionally, nothing contained on mandmpestcontrol.com shall be construed as providing consults or advice to you. MMPC SHALL NOT BE LIABLE FOR ANY DAMAGES WHATSOEVER, AND IN PARTICULAR MMPC SHALL NOT BE LIABLE FOR ANY SPECIAL, INDIRECT, CONSEQUENTIAL, OR INCIDENTAL DAMAGES, OR DAMAGES FOR LOST PROFITS, LOSS OF REVENUE, OR LOSS OF USE, ARISING OUT OF OR RELATED TO THIS WEBSITE OR THE INFORMATION CONTAINED IN IT, WHETHER SUCH DAMAGES ARISE IN CONTRACT, NEGLIGENCE, TORT, UNDER STATUTE, IN EQUITY, AT LAW, OR OTHERWISE, EVEN IF MMPC HAS BEEN ADVISED OF THE POSSIBILITY OF SUCH DAMAGES. SOME JURISDICTIONS DO NOT ALLOW FOR THE LIMITATION OR EXCLUSION OF LIABILITY FOR INCIDENTAL OR CONSEQUENTIAL DAMAGES, THEREFORE SOME OF THE ABOVE LIMITATIONS IS INAPPLICABLE. You agree to indemnify to the fullest extent MMPC, its owners, directors, partners, employees, agents, licensors, suppliers, and any third-party information provider to the website from and against any and all liabilities, costs, demands, causes of action, damages, and expenses (including attorney’s fees) arising out of, or in any way related to, your violations of any of the provisions of these terms. Should a dispute arise between you (the client) and MMPC, it is always our first priority to resolve the issue internally. However, in the case that a dispute, controversy, or claim arises which cannot be settled by mutual agreement of both parties, it will be submitted to binding arbitration. In the event that parties are unable to agree on a mediator, a mediator will be appointed by the named administrator.